We are sorry for the mistake with x265 codec version in our report. It happened due to partly change of the version from previous 2016 report. Actually, the results are represented for the newest version that was available during our measurements (2.3+23-97435a0870befe35). Now the version is corrected in all parts of the report. Part 1: FullHD content, objective comparison. Part 3: FullHD content, subjective comparison. 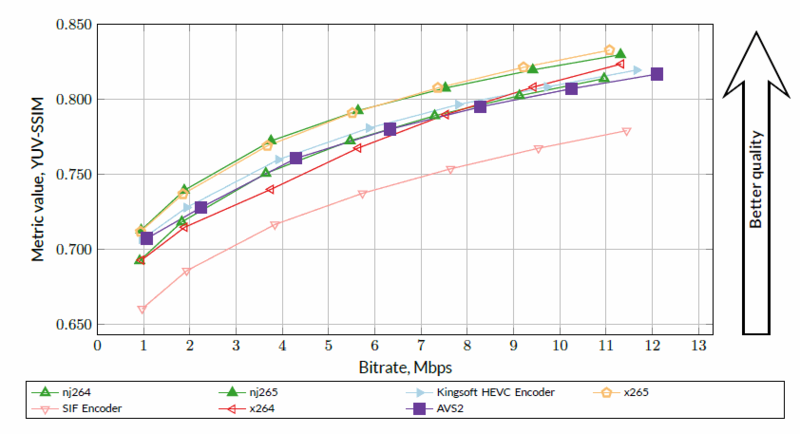 Part 4: High-speed encoders (GPU and software), objective comparison. 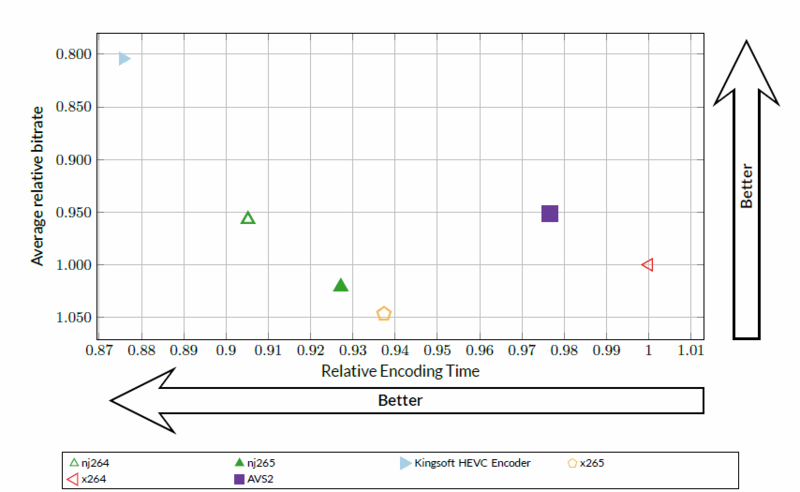 Part 5: High-quality encoders (inc. VP9, AV1), objective comparison. Encoding quality, encoding speed, bitrate handling, speed/quality analysis etc. (some graphs) Encoding quality and speed/quality analysis for subjective comparison Encoding quality, encoding speed, bitrate handling, speed/quality analysis etc. (some graphs) Encoding quality, encoding speed, bitrate handling, speed/quality analysis, subjective comparison etc. The main goal of this report is the presentation of a comparative evaluation of the quality of new HEVC codecs and codecs of other standards using objective measures of assessment. The comparison was done using settings provided by the developers of each codec. Nevertheless, we required all presets to satisfy minimum speed requirement on the particular use case. The main task of the comparison is to analyze different encoders for the task of transcoding videoпїЅe.g., compressing video for personal use. In пїЅMSU Video Codecs Comparison 2016пїЅ we introduced a new technique for test dataset sequencesпїЅ selection. This technique was designed to create dataset containing representative set of sequences that encoders are facing in everyday life. In this report we use the same methodology for video sequences selection, but we have dramatically updated video database from which we sample videos for encodersпїЅ comparison. 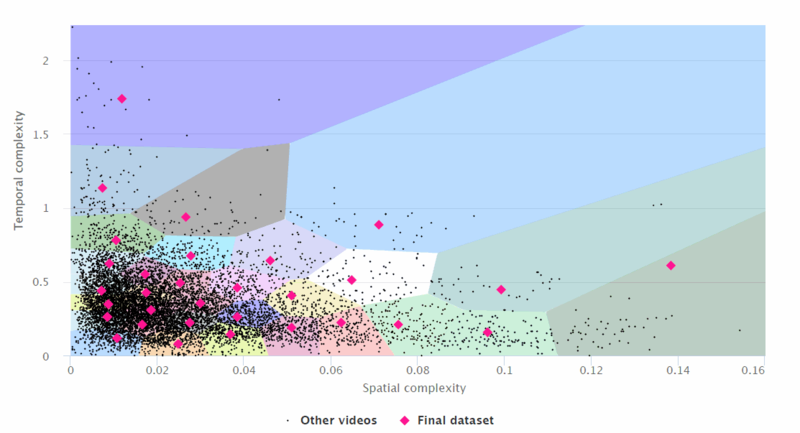 We analyzed over 512,000 videos hosted at Vimeo looking for 4K and FullHD videos with high bitrates (50 Mbps was selected as a lower bitrate boundary). This enabled us to find and download, 662 new 4K videos and 1993 new FullHD videos. Kingsoft The Video Group would also like to thank these companies for their help and technical support during the tests. 12 years working in the area of video codec analysis and tuning using objective quality metrics and subjective comparisons. 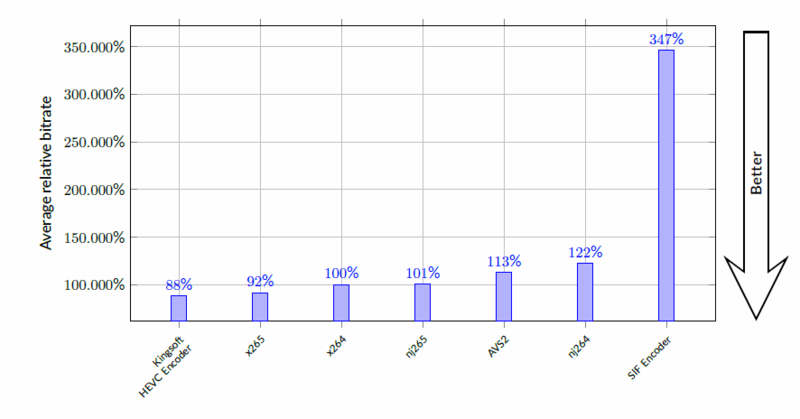 27+ reports of video codec comparisons and analysis (H.264, MPEG-4 MPEG-2, decodersпїЅ error recovery). Methods and algorithms for codec comparison and analysis development, separate codecпїЅs features and codecпїЅs options analysis.